There are many reasons to celebrate the end of 2017, but let’s focus on the bright side of things, shall we? This joyous holiday is about letting loose with friends, getting dressed up, and—of course—wearing glitter. 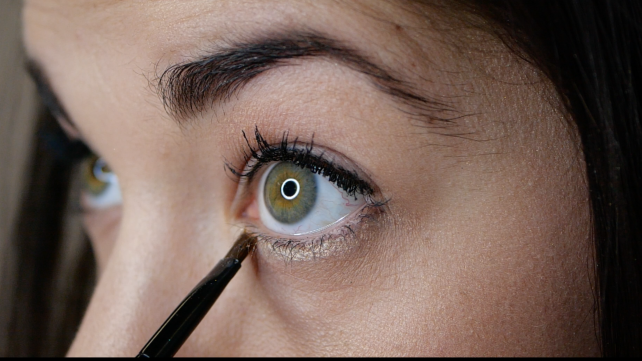 Your outfit shouldn’t be the only thing that gets glammed up: You should incorporate that glitz into your makeup too. Luckily, gone are the days of saccharin body glitter and sticky roll-on varieties. 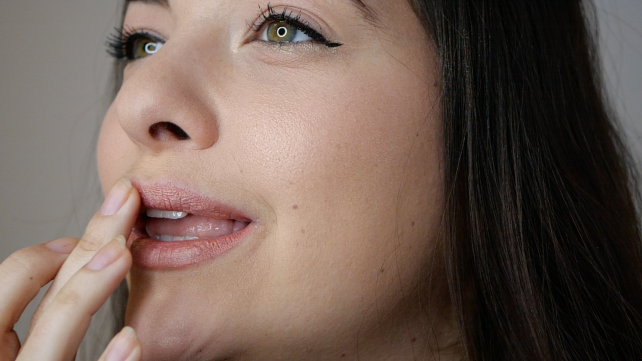 Becca’s Pressed Highlighter in Champagne Pop is perhaps the most grown-up rendition of the stuff. The cult favorite highlighting powder lights up your skin with high-impact, reflective shine without ever being glittery. It’s gorgeous any day of the year, but with a name like Champagne Pop, it’s particularly festive for the new year. The soft gold, pinky color complements most skin tones and since the formula is enriched with ultra-fine pearls, it reflects light like no other. What sets it apart in the (now huge) world of highlighters is that the formula is pigment blended with liquid, which gives a creamy feel and a silky finish. Just make sure to use a primer below your foundation so the product doesn’t settle into and highlight pores. 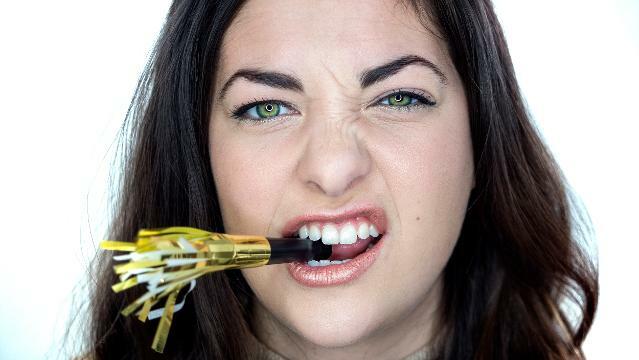 It's pricy at $38 per compact, but we found three beautiful ways to wear it on New Year’s Eve. You can pick one of these accents, or wear them all together for a high-impact shimmery look that still looks glamorous. Duh—Use Champagne Pop in its intended way. 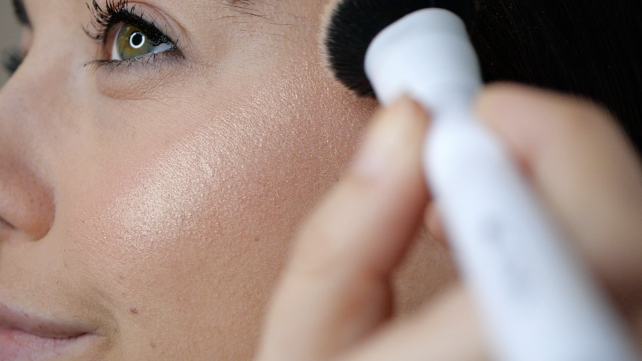 Using an angled brush, sweep it onto cheekbones up toward brow bones in a C-shape. Brush it along the bridge of the nose and on the chin to catch light at the height of your face. Take a damp angled brush and press the highlighter onto lower lash lines and the inner corners of the eyes to brighten and widen the eye. Extend the line past the outer corners of the eyes and trace with black liquid liner for a festive cat eye. Metallic lips are in right now, but you don’t need to invest in a pricey new shade to get the niche look. Simply swipe on your favorite lip color (I chose Bite Amuse Bouche Lipstick in Verbena) and use your finger to dab Champagne Pop on top. Not only will this set your lipstick for the night, but will add an edgy, shimmery sheen.